It seems like a no-brainer, right? 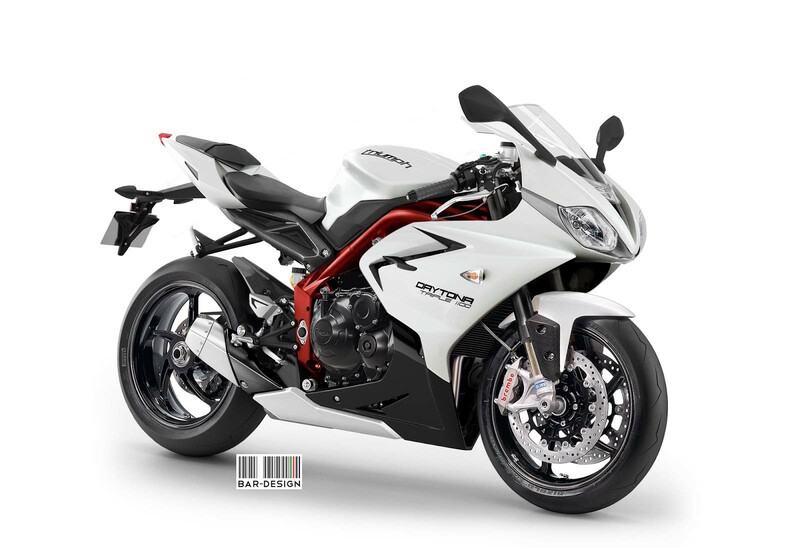 Take the existing Triumph Daytona 675 supersport package, drop in the 1,050cc three-cylinder motor found in the Triumph Speed Triple (with a higher state of tune, of course), and call the beast the Triumph Daytona 1100 superbike. Boom. Done. It’s so easy Triumph, so why haven’t you done it already?! The answer of course is that the superbike segment is extremely competitive and expensive to enter — just ask BMW Motorrad. A small manufacturer with a rich brand history, Triumph also has a propensity to zig when others zag, which is how the Speed Triple came about in the first place. However, the timing might be right for Hinckley to put some effort into a superbike project. With Yamaha going triple on us, having now debuted its first modern three-cylinder road bike, the 2014 Yamaha FZ-09, Triumph may see an ally in the fight to have production-based superbike classes include an 1,100cc provision for three-cylinder bikes, which would pave the way for a Daytona 1100 road bike. 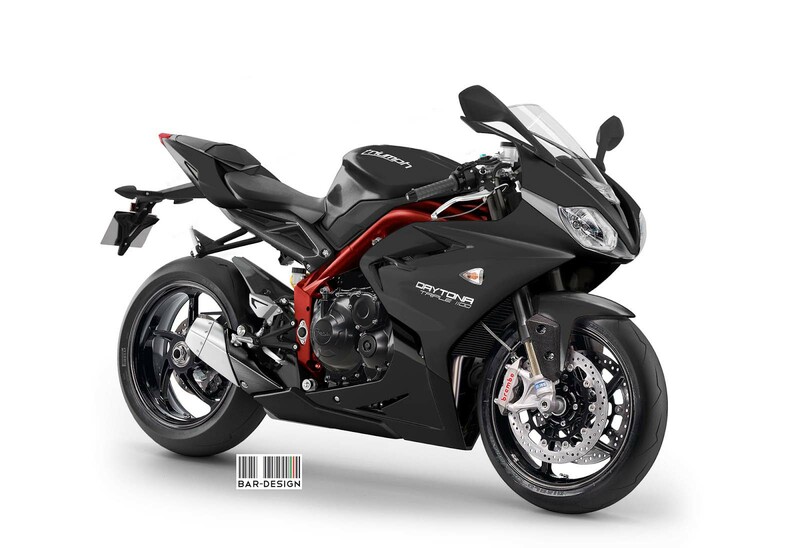 After all, A superbike triple would be a welcomed change from the current crop of machines, as there is something exotic about the three-cylinder engine configuration — right Benelli owners? With all the pieces of the puzzle in front of us, Luca Bar has whipped up a concept render that of what such a potential project could look like. If you think it looks just like the current Daytona 675, well then…that’s sort of the point, isn’t it?